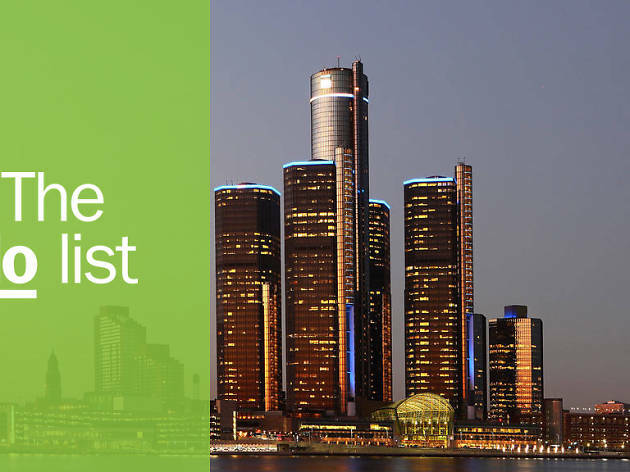 America’s mitten is commonly called Pure Michigan—and with good reason. The Midwest vibe of friendly folks and phenomenal lakes makes it a four-season paradise, a high-five all year round, if you will. From gorgeous summers full of verdant trees and flowers in bloom to winters covered in sweeping blankets of freshly fallen snow, the kaleidoscopic wonder of autumn and everything budding in return to life come spring, Michigan is always a magical place to be. Here are some of the Great Lakes State’s best things to do no matter the season. What is it? Petoskey State Park is the perfect camping spot or place to park your RV in Northern Michigan. Why go? Petoskey is the reason so many songs are written about Northern Michigan. A common expression you’ll hear here is “going up north.” It literally means hopping in a car and hitting the road until you arrive in a town of peaceful bliss in the form of fresh air, miles of untouched nature and a sparkling body of water. Petoskey State Park makes for a perfect getaway; some go for the simplicity, others the tranquillity and some for a sweet escape. Enjoy sailing, hiking, kayaking, biking and searching the beach for Petoskey stones—Michigan’s state rock since 1865. What is it? This historic fudge shop was the first of many to grace Mackinac Island—home of Michigan’s world-famous fudge. Why go? A modern-day opportunity to time travel, Murdick’s has been serving the same fresh, homemade fudge on Mackinac Island since 1887. Along with more than 15 flavors of fudge, Murdick’s makes mouthwatering peanut brittle, chocolate nut clusters and many flavors of bark. Another sweet treat? 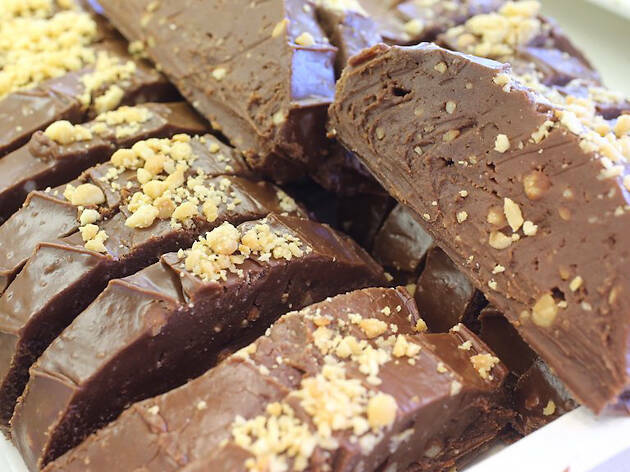 You can actually watch the expert fudge makers create magic right in the shop. What is it? 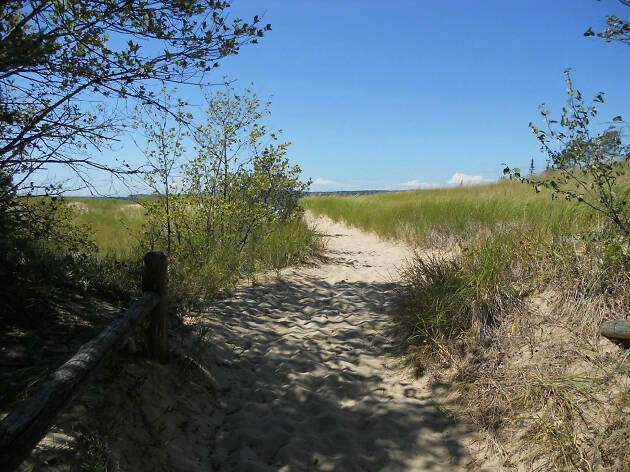 Behold the breathtaking 64 miles of stunning sand dunes along the Lake Michigan shoreline with a gorgeous 27-mile paved hiking trail in Traverse City. Why go? Traverse City is not only the Cherry Capital of the World, it is also home to the marvel-worthy, sweeping vistas that make up the magnificent sand dunes of Sleeping Bear Dunes National Lakeshore—a must-see Michigan spectacle. If you’re up for a challenge, hike the 27-mile paved Sleeping Bear Heritage Trail. What is it? This uniquely laid-back, come-as-you-are wine trail wraps around the lake, boasting 22 stops for sipping only the finest of wines with breathtaking views. Why go? This wine trail is home to 24 wineries with internationally acclaimed varieties including Riesling, Pinot Grigio, Chardonnay, Pinot Noir and Cabernet Franc. The trail includes three mini trails—the Sleeping Bear Loop, the Northern Loop and the Grand Traverse Bay Loop—for easy touring. Each tasting room offers a unique experience ranging from pure elegance to cozy nooks and unparalleled views. 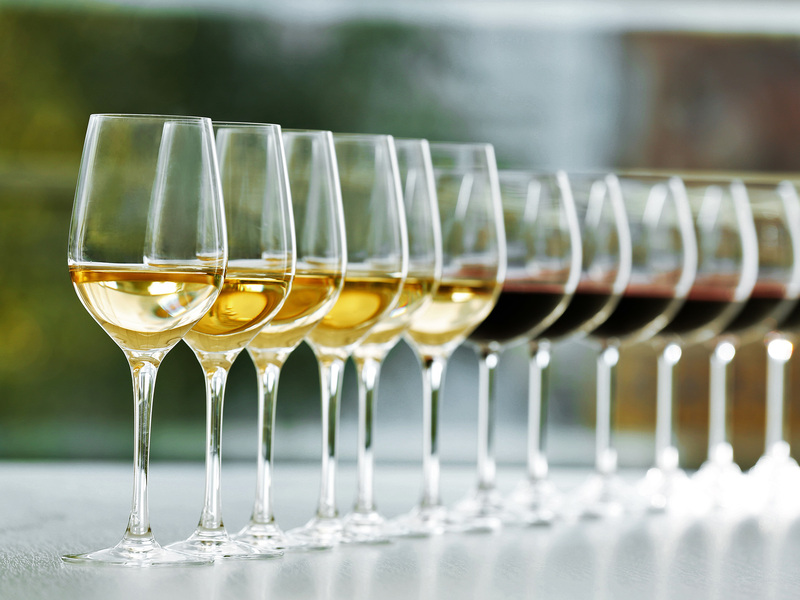 The Leelanau Peninsula Wine Trail has earned international attention as a world-class destination. What is it? Located in the Upper Peninsula, this is Michigan’s only National Park. Why go? To start, Isla Royale ranked as one of the country’s top 10 least-visited National Parks. 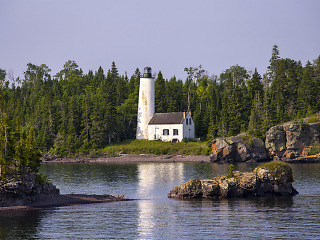 Quite a bit off the beaten path, 53 miles north of Copper Harbor is the complete solitude of this excluded paradise. Of the 133,782 acres, 132,018 are pure wilderness. Isle Royale has 165 miles of hiking trails perfect for backpacking. Due to drastic weather conditions in the winter, this park is open to the public from April 15 to October 31 with visitor centers open all year round. What is it? A stunning sight to behold, this is America’s first national lakeshore. Why go? Marvel at 15 miles of multicolored sandstone cliffs that make the majestic Pictured Rocks National Lakeshore along Lake Superior. With 12 miles of sandy beaches and five miles of sand dunes, hiking, camping, backpacking, sightseeing, boating, picnicking, hunting, fishing, cross-country skiing, snowshoeing and snowmobiling are commonly enjoyed here. What is it? 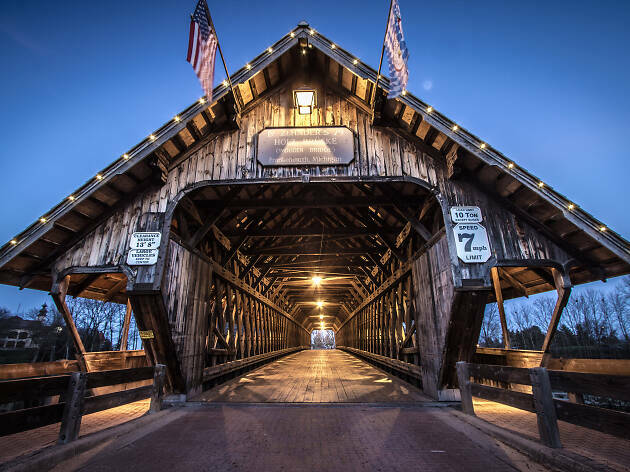 This is Michigan’s Little Bavaria, full of festivities, divine dining, extraordinary shopping, indoor water parks and an all-encompassing rich history. Why go? Three million visitors venture to Frankenmuth each year to enjoy the Bavarian-style architecture and the area’s German roots as highlighted at the Frankenmuth Historical Museum. Michigan’s Military & Space Heroes Museum is also found here, as well as The Lager Mill, which showcases a museum of the city’s brewing history. Home to the Frankenmuth beer festival, this destination offers an eclectic German town experience. What is it? This is the dangerous city street made famous by rapper and Detroit native, Eminem. Why go? 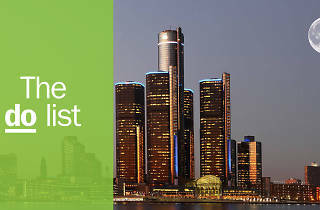 Beyond 8 Mile, visit Detroit’s historic and incredibly popular Eastern Market or trendy, unique neighboring downtown areas such as Ferndale, Royal Oak and Birmingham to soak up the full experience in and around “the D.” Prepare to be impressed as this comeback city’s rebirth continues to unravel rapidly. What is it? 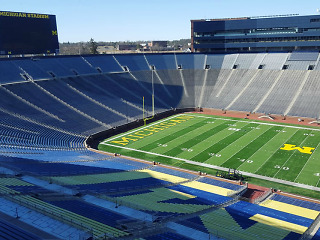 The Big House is the name lovingly bestowed upon the University of Michigan’s famous football field in Ann Arbor. Why go? Welcome to Michigan Stadium: Football fans will marvel at the Wolverines’ home field fittingly dubbed The Big House because it is the largest stadium in the United States and the second largest in the whole world. This iconic sports masterpiece was built in 1927 for less than a million dollars. What is it? 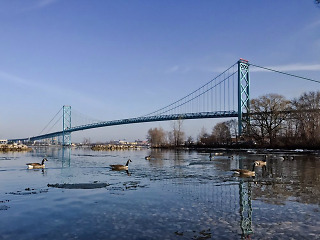 The world’s largest international suspension bridge, Ambassador connects Detroit, Michigan with Windsor, Ontario, Canada. Why go? 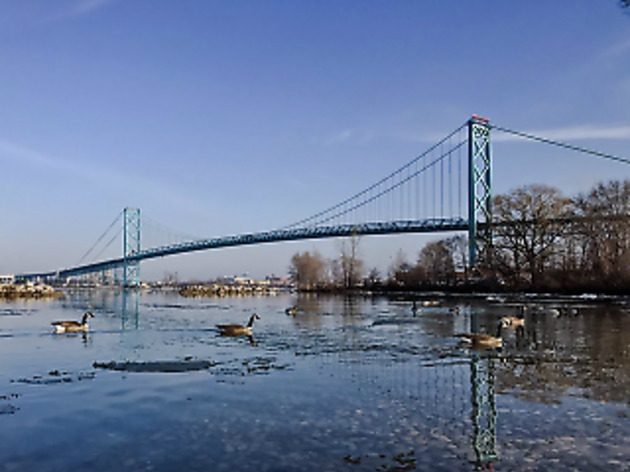 The Ambassador Bridge is a signature spectacle and staple as it is North America’s busiest international border crossing for both traffic and trade. It was constructed with Art Deco architecture and a hint of Gothic styling in the 1920s. The bridge spans a total of 7,490 feet with 1.75 miles separating the North American and Canadian checkpoints.